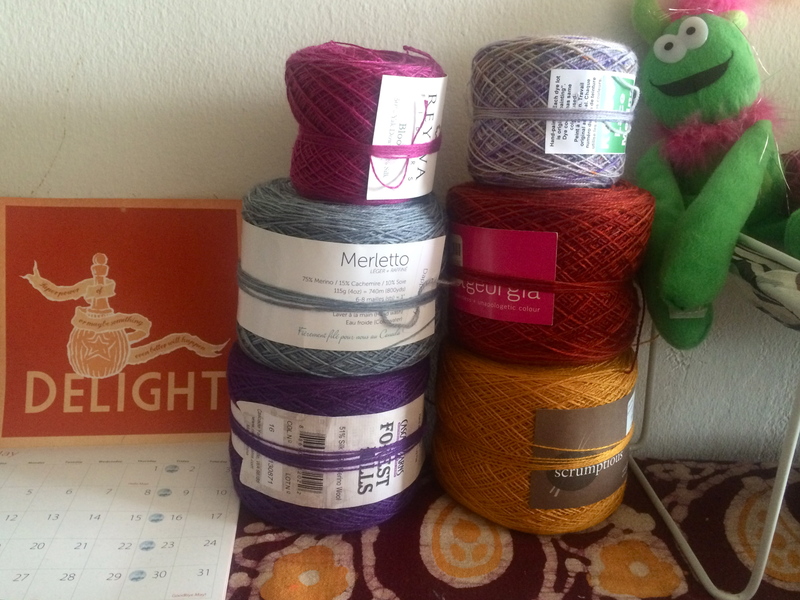 Who doesn’t love a big pile of yarn sitting on their desk? I agreed to knit a some lace swatches for my LYS, so I have this pile of lace weight sitting on my desk waiting for me to swatch and play with. yay! I’m restarting & restructuring the self-made wardrobe project. Whee!